The Food and Drug Administration has approved the new drug “Repatha” for the treatment of high cholesterol. 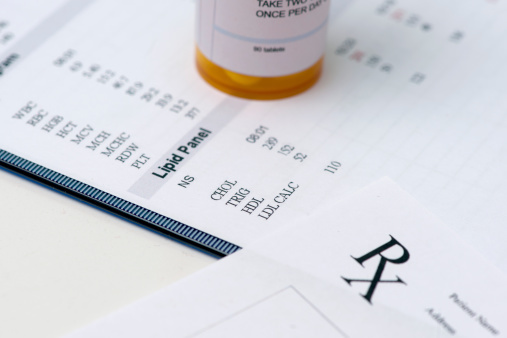 An injection used to control low-density lipoprotein (LDL) cholesterol, Repatha is approved for prescription to patients with high cholesterol who have been unable to control their LDL with other current treatments. However, it was approved in combination with a healthy diet and statin therapy for adults who suffer cardiovascular problems and require LDL-lowering therapies to reduce risk. Tests for safety and effectiveness included nine trials—a 52-week placebo-controlled trial and eight 12-week placebo-controlled trials. Through these trials, researchers found that compared to the placebo, those who took Repatha saw an average drop in LDL cholesterol of 60%. Repatha works by inhibiting activity of the protein proprotein convertase subtilisin/kexin type 9, or PCSK9. This protein promotes the degradation of LDL receptors in hepatocytes, reducing LDL receptor concentration and increasing LDL cholesterol. By inhibiting PCSK9, Repatha prevents LDL receptor degradation, resulting in reduced LDL cholesterol. High levels of LDL cholesterol are linked to cardiovascular or heart disease. The Centers for Disease Control and Prevention report approximately 735,000 heart attacks in America each year. Additionally, heart disease is the leading cause of death for Americans, with coronary heart disease accounting for 370,000 deaths annually. “FDA approves Repatha to treat certain patients with high cholesterol,” U.S. Food and drug Administration web site, August 27, 2015; http://www.fda.gov/NewsEvents/Newsroom/PressAnnouncements/ucm460082.htm?source=govdelivery&utm_medium=email&utm_source=govdelivery. Vernon, J., “FDA approve new drug to treat high cholesterol,” Medical News Today web site, August 28, 2015; http://www.medicalnewstoday.com/articles/298772.php.